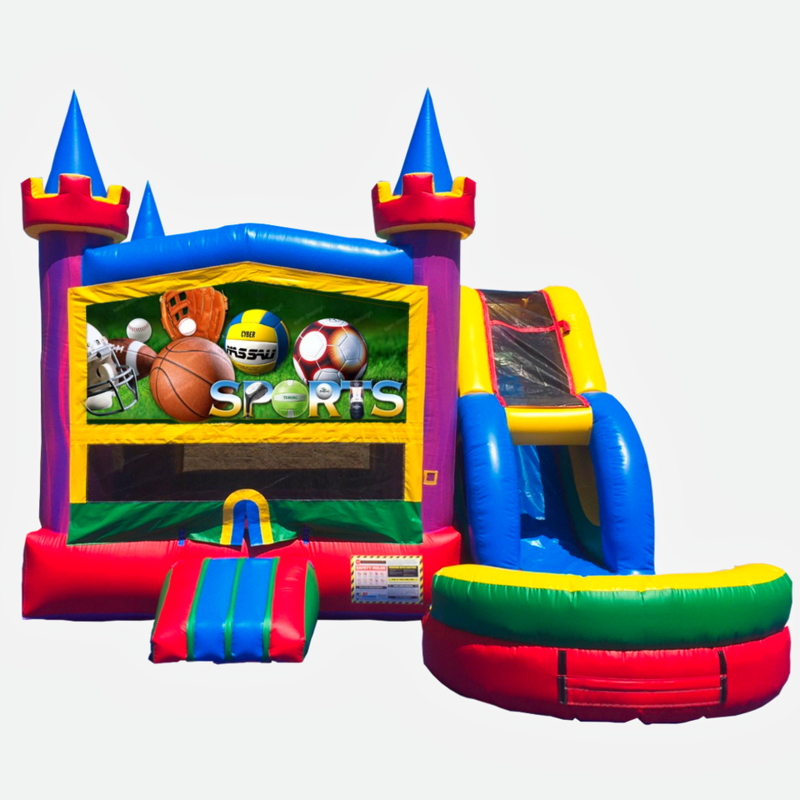 Add color and fun to your next Event with this Wet/Dry Combo Jumper! This bouncer rental provides over 400 sq. ft. of inflatable fun! It also features large netted vent windows to keep things cool, while allowing parents to keep a watchful eye on activities inside. There's an inflatable ramp at the entrance for safe entries and exits. Go from jumping, to climbing, and finally zooming down the water slide all in one unit!